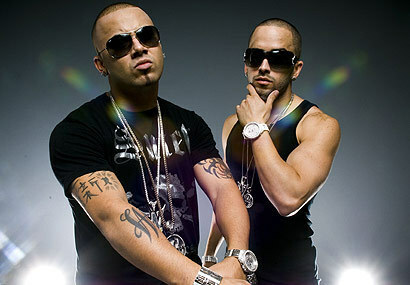 All posts tagged "Wisin Y Yandel"
Reggaeton Duo, Axcel & Andrew –’Los Brothers’ To Make U.S. Impact! LatinTRENDS Celebrity Trends: Ricky Martin, Don Francisco, and Wisin y Yandel! Read the latest news on all your favorite celebrities! One of La Mega's biggest concerts was held in Citi Field Sept 30th! [VIDEO] Wisin y Yandel brings out @50Cent in NYC! Many surprises at CitiField last night! This new video features Chris Brown & T-Pain! AVAILABLE ON ITUNES STARTING TODAY! Wisin Y Yandel Concert TONIGHT! Going to be in NJ? Check out this concert! Wisin Y Yandel: New Tour! Are they coming to a town near you? Find out! Wisin y Yandel Want YOU! Think you've got the skills to pay the bills?